Job insecurity, often defined as the subjectively perceived likelihood of involuntary job loss (1), emerges as a key psychosocial risk in the working environment in recent large scale European studies. The 5th European Working Conditions Survey (EWCS) of 2010 showed that about 16% of the EU workers expected to lose their job in the next six months (2). This percentage depended on the sector (higher in industry and construction and lower in public administration, for example) and country (higher in Lithuania and lower in Denmark, for example) and increased slightly during the years of economic crisis. Analysis of the EWCS even shows job insecurity to be among the strongest predictors of a wide array of health- and well-being-related variables, ranging from poor mental health and dissatisfaction with working conditions to sleeping problems and musculoskeletal disorders (2). These negative health and well-being correlates of job insecurity have been well documented in previous overviews and meta-analyses in the field of occupational health psychology (1, 3–7), showing strong negative associations with job satisfaction, mental and physical health, and a large range of organizational attitudes and behaviors, such as trust in management and performance indicators. As a consequence, it is not surprising to see that job insecurity has also been the focus of several studies in the Scandinavian Journal of Work Environment & Health (8–10).  The contribution of Barrech et al (11) in this issue is an important and innovative addition to the literature on the consequences of job insecurity for occupational health. Based on the prospective analysis of a population-based dataset in Germany, they conclude that exposure to job insecurity during working life negatively influences subjective well-being after retirement, on average 20 years later. Interestingly, these long-term consequences remained almost identical after controlling for a large set of both health- and work-related risk factors. The authors conclude that their results “underline the significance of job insecurity as an independent risk factor to subjective well-being in later life, over and above other potential confounders”. This intriguing finding aligns well with the “scarring hypothesis” in the field of unemployment (12): unemployment in the past reduces happiness and well-being in the future, even after the individual finds employment. Barrech et al thus add a similar scarring effect to the job insecurity literature: job insecurity has, just like unemployment, the potential to harm health and well-being later in life. It “leaves a scar” on ulterior well-being. Both phenomena are also closely related. Knabe & Rätzel (13) showed that the experience of unemployment in the past makes workers more insecure about their jobs once they find employment, as they become afraid that they might become unemployed again. Increased insecurity in turn reduces health and well-being. The authors conclude that “past unemployment leaves a ‘scar’ because it ‘scares’ the individual about the future”. Barrech et al discuss the strengths of their contribution by emphasizing the large sample size, the extensive set of risk factors for which they controlled, and the remarkable long follow-up period from midlife to retirement. The latter is an important addition to a recently published overview of longitudinal studies, showing that job insecurity causes poorer health and well-being, rather than vice versa (14). One of the possible weaknesses of the Barrech et al study relates to its design: subjective well-being was only measured at T2 after retirement, leading to a prospective study rather than a full-panel design, in which all variables are measured at both time points (15). As a consequence, they were unable to analyze the change in subjective well-being from T1 to T2 caused by job insecurity at T1. This could be a suggestion for future research. An additional suggestion could be to differentiate the future impact of job insecurity by analyzing its intensity. Only 4.8% of the respondents “frequently” felt insecure versus 34.7% who “sometimes” felt insecure. One could hypothesize the future impact of intense insecurity to be more pronounced, and it could be interesting to determine how strong the effect is compared to that of less-intense perceived insecurity. Another interesting aspect of the Barrech et al study is that they explain their findings in the discussion, pointing to physiological and/or mental arousal. They develop a medical-tinted explanation by suggesting that short-term responses (related to arousal) might accumulate and lead to more permanent health problems in the long term. These lasting effects on health could affect subjective well-being in the future. In short, arousal accumulates and affects health, and health affects well-being. This explanation obviously needs to be tested in future longitudinal research. As such, Barrech et al’s study fits well in a stream of descriptive prospective studies, in which the focus lies on a thorough empirical (and sound methodological) examination of the relationship of job insecurity with future outcomes, rather than on the (empirical) test of the explaining mechanism that underpins these relationships. It seems recommendable for future longitudinal research to not just focus on the long-term consequences of job insecurity. What the field also needs are attempts to operationalize and test various theoretical explanations of the job insecurity–outcomes relationships. Additionally, as the job insecurity literature is clearly interdisciplinary, with contributions from, eg, medicine, psychology, sociology and economy, the field would especially benefit from an interdisciplinary approach and integration of theories from different disciplines. During the last few years, especially scholars with a background in occupational health psychology and/or work and organizational psychology have been focusing on operationalizing and testing theoretical explanations of the consequences of job insecurity. Many of these theories are also relevant for the field of occupational and environmental health and safety. It therefore seems worthwhile to introduce some of them in order to encourage cross-fertilization. Jahoda’s theory on the manifest and latent benefits of work is perhaps an obvious place to start (16). Work enables the satisfaction of a variety of important human needs due to, eg, the provision of income, social contacts, status, and collective purpose. The perceived probability of losing the actual job (eg, job insecurity) threatens the satisfaction of these needs and can negatively impact health and well-being. Research indeed shows that threats to the various benefits of work mediate the association between job insecurity and subsequent mental and physical health complaints (17, 18). A related logic stems from Self-Determination Theory (19), which states that the satisfaction of three basic psychological needs is crucial for individuals to flourish, namely, autonomy, belongingness, and relatedness. Research indeed underpins that the frustration of these needs explains the relationship of job insecurity with burnout and reduced work engagement (20). Also social exchange theories can help to clarify the negative consequences of job insecurity. Siegrist’s Effort–Reward Imbalance Theory is a known example in the field of occupational research (21). Job security is regarded as a valued reward in society. Job insecurity presents an imbalance between efforts and rewards and causes negative health and well-being consequences. Psychological Contract Theory (22) and the Organizational Justice Theory (23) also belong to the larger social exchange framework. Workers expect specific entitlements, such as job security, from their employer. Consequently, job insecurity is perceived as a breach of their psychological contract. This perception of breach mediates the association between job insecurity and explains the negative consequences of job insecurity (24, 25). Organizational justice comes in many forms: procedural, distributive, and interactional. Job insecurity is often associated with the perception of injustice regarding these components of justice, which explains part of the association between job insecurity and its outcomes (25). Finally, also a lack of perceived control can play an explanatory role. Vander Elst et al (26) hypothesized and found that job insecurity increases the perception of uncontrollability, which in turns leads to various negative health and well-being consequences. This short overview of some possible explanatory frameworks offers a point of departure for future (longitudinal) studies in the field. It also illustrates that the disciplines of, for example, psychology and medical sciences partly overlap, as they seem to share some frameworks (eg, aspects of social exchange and the notion of perceived control). What is lacking at the moment, however, are attempts to further integrate the various frameworks into an overarching interdisciplinary explanation of the negative consequences of job insecurity and especially its scarring effects. Such integration needs to come from two sides. First, it requires a more thorough theoretical analysis of the similarities and complementarity of the actual explanatory frameworks. Next, it requires the empirical examination of the complementarity of existing theories. Pairwise comparisons and competitive tests of the explanatory power of at least two theoretical frameworks seems a first relevant empirical step forward in this regard (25, 27).